DM-GAN: Dynamic Memory Generative Adversarial Networks for Text-to-image Synthesis. Mingfeng Zhu, Pingbo Pan, Wei Chen, Yi Yang. 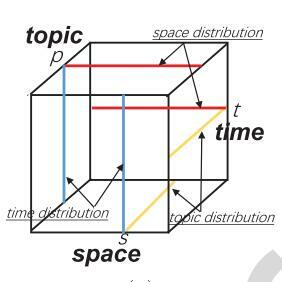 Semantics-Space-Time Cube: A Conceptual Framework for Systematic Analysis of Texts in Space and Time. Jie Li, Siming Chen, Wei Chen, Gennady Andrienko, Natalia Andrienko. 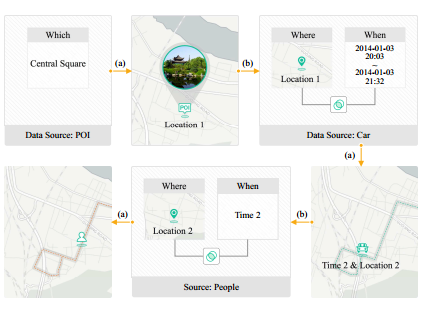 location2vec: a situation-aware representation for visual exploration of urban locations. Minfeng Zhu, Wei Chen, Jiazhi Xia, Yuxin Ma, Yankong Zhang, Yuetong Luo, Zhaosong Huang, Liangjun Liu. 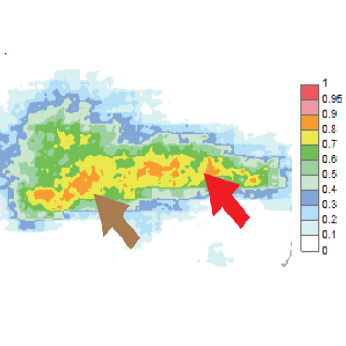 Urban Structure Accessibility Modeling and Visualization for Joint Spatiotemporal Constraints. Farah Kamw, Shamal AL-Dohuki, Ye Zhao, Thomas Eynon, David Sheets, Jing Yang, Xinyue Ye, and Wei Chen. 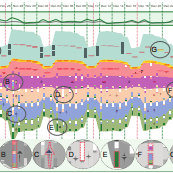 Exploring the Sensitivity of Choropleths under Attribute Uncertainty. Zhaosong Huang, Yafeng Lu, Elizabeth A. Mack, Wei Chen, and Ross Maciejewski. 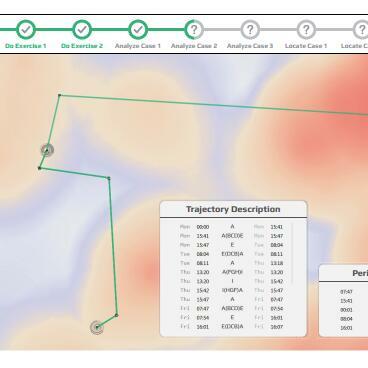 A User Study on the Capability of Three Geo-based Features in Analyzing and Locating Trajectories. Xumeng Wang, Tianlong Gu, Xiaonan Luo, Xiwen Cai, Tianyi Lao, Wenlong Chen, Yingcai Wu, Jinhui Yu and Wei Chen. 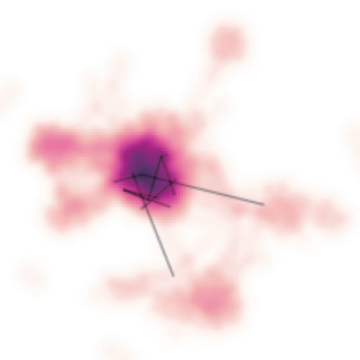 ScatterNet: A Deep Subjective Similarity Model for Visual Analysis of Scatterplots. Yuxin Ma, Anthony K. H. Tung, Wei Wang, Xiang Gao, Zhigeng Pan, Wei Chen. 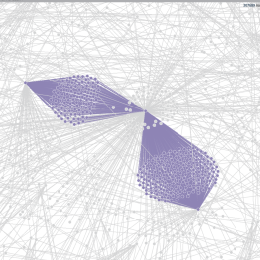 Structure-Based Suggestive Exploration: A New Approach for Effective Exploration of Large Networks. Wei Chen, Fangzhou Guo, Dongming Han, Jiacheng Pan, Xiaotao Nie, Jiazhi Xia, Xiaolong Zhang. 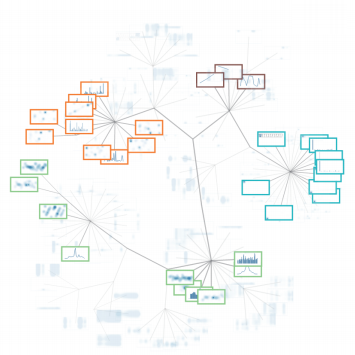 GraphProtector: A Visual Interface for Employing and Assessing Multiple Privacy Preserving Graph Algorithms. Xumeng Wang, Wei Chen, Jia-Kai Chou, Chris Bryan, Huihua Guan, Wenlong Chen, Rusheng Pan, Kwan-Liu Ma. 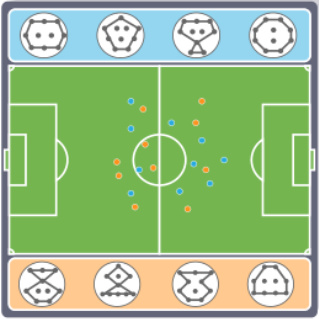 ForVizor: Visualizing Spatio-Temporal Team Formations in Soccer. Yingcai Wu, Xiao Xie, Jiachen Wang,Dazhen Deng, Hongye Liang, Hui Zhang,Shoubin Cheng, Wei Chen. 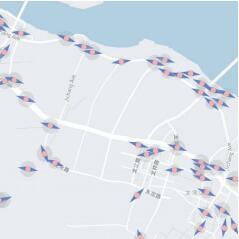 Visual Abstraction of Large Scale Geospatial Origin-Destination Movement Data. Zhiguang Zhou, Linhao Meng, Cheng Tang, Ying Zhao, Zhiyong Guo, Miaoxin Hu, Wei Chen. 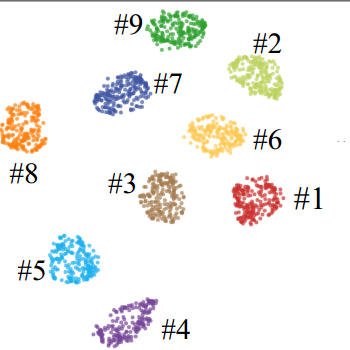 Evaluating Multi-Dimensional Visualizations for Understanding Fuzzy Clusters. Ying Zhao, Feng Luo, Minghui Chen, Yingchao Wang, Jiazhi Xia, Fangfang Zhou, Yunhai Wang, Yi Chen, Wei Chen. 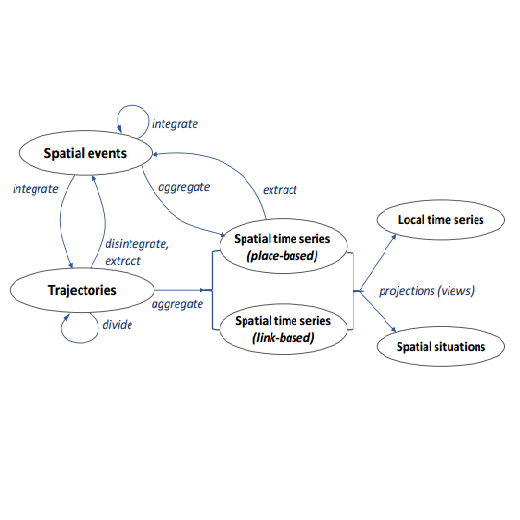 Structuring Mobility Transition with An Adaptive Graph Representation. Tianlong Gu, Minfeng Zhu, Wei Chen, Zhaosong Huang, Ross Maciejewski, Liang Chang. Visual Exploration of Air Quality Data with A Time-Correlation Partitioning Tree Based on Information Theory. Fangzhou Guo, Tianlong Gu,Wei Chen, FeiranWu, Qi Wang, Lei Shi, and Huamin Qu. Deqing Li, Honghui Mei, Yi Shen, Shuang Su, Wenli Zhang, Junting Wang, Ming Zu, Wei Chen. Wei Chen, Jing Xia, Xumeng Wang, Yi Wang, Jun Chen, Tianlong Gu. Wei Chen, Zhaosong Huang, Feiran Wu, Minfeng Zhu, Huihua Guan, and Ross Maciejewski. Hongsen Liao, Yingcai Wu, Li Chen and Wei Chen. Xumeng Wang, Jia-Kai Chou, Wei Chen, Huihua Guan, Wenlong Chen, Tianyi Lao, and Kwan-Liu Ma. Jiazhi Xia, Fenjin Ye, Wei Chen, Yusi Wang, Weifeng Chen, Yuxin Ma, and Anthony K.H. Tung. Fei Wang, Wei Chen, Ye Zhao, Tianyu Gu, Siyuan Gao, and Hujun Bao. 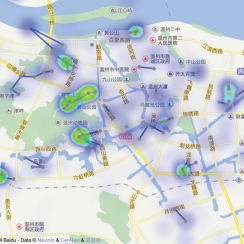 Visual Analytics of Mobility and Transportation: State of the Art and Further Research Directions. Gennady Andrienko, Natalia Andrienko, Wei Chen, Ross Maciejewski, Ye Zhao. 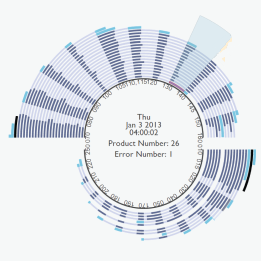 ViDX: Visual Diagnostics of Assembly Line Performance in Smart Factories. Panpan Xu, Honghui Mei, Liu Ren, Wei Chen. 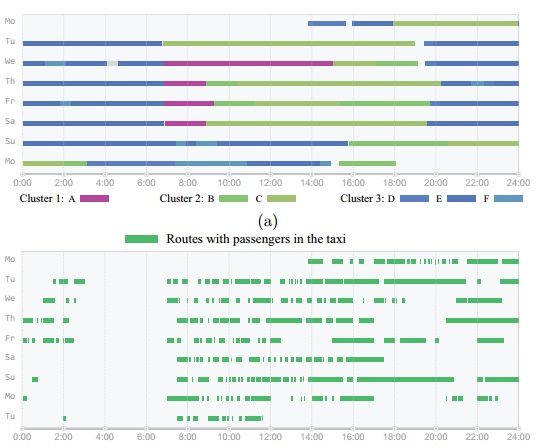 SemanticTraj: A New Approach to Interacting with Massive Taxi Trajectories. Shamal AL-Dohuki, Farah Kamw, Ye Zhao, Jing Yang, Chao Ma,Yingyu Wu, Xinyue Ye, Fei Wang, Xin Li, Wei Chen. 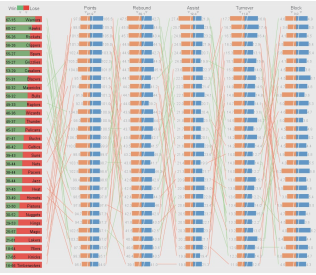 GameFlow: Narrative Visualization of NBA Basketball Games. Wei Chen, Tianyi Lao, Jing Xia, Xinxin Huang, Biao Zhu, Wanqi Hu, Huihua Guan. 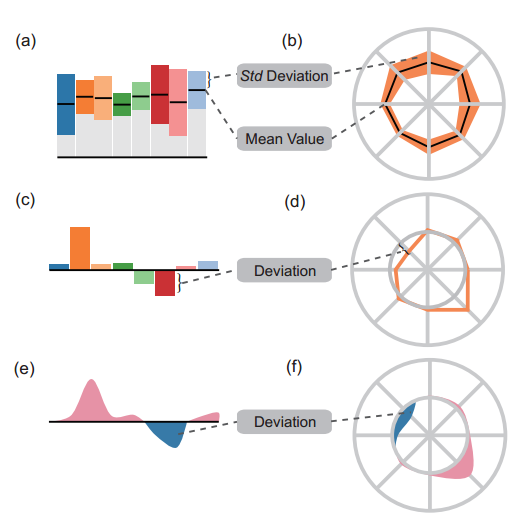 DimScanner: A Relation-based Visual Exploration Approach Towards Data Dimension Inspection. 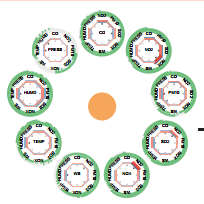 Jing Xia, Wei Chen, Yumeng Hou, Xinxin Huang, Wanqi Hu, David S.Ebert. Visualizing Rank Time Series of Wikipedia Top Viewed Pages. Jing Xia, Yumeng Hou, Victor Chen, Cheryl Qian, David S. Ebert, Wei Chen. 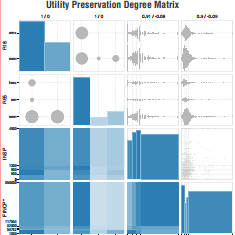 Visual Analysis of Cloud Computing Performance Using Behavioral Lines. Chris Muelder, Biao Zhu, Wei Chen, Hongxin Zhang, Kwan-Liu Ma. 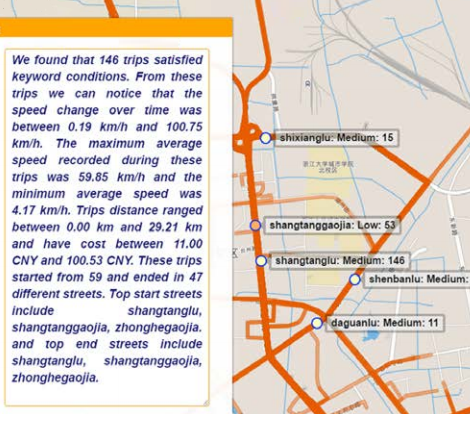 Big Data in Social Transportation. Xinhu Zheng, Wei Chen, Pu Wang, Dayong Shen, Songhang Chen, Xiao Wang, Qingpeng Zhang, Liuqin Yang. 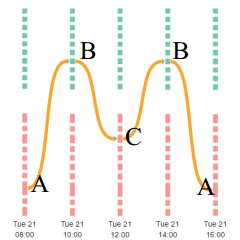 A Visual Voting Framework for Weather Forecast Calibration. Hongsen Liao, Li Chen, Yingcai Wu, Yunhai Wang, Huizhang, Wei Chen. 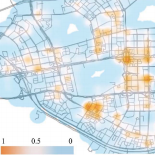 Mobility Viewer: A Eulerian Approach for Studying Urban Crowd Flow. Yuxin Ma, Tao Lin, Zhendong Cao, Chen Li, Fei Wang, Wei Chen. 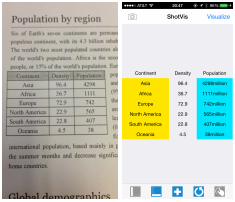 ShotVis: Smartphone-based Visualization of OCR Information from Images. Biao Zhu, Hongxin Zhang, Wei Chen, Feng Xia, Ross Maciejewski. A Survey on Traffic Visualization. Wei Chen, Fangzhou Guo, Feiyue Wang. 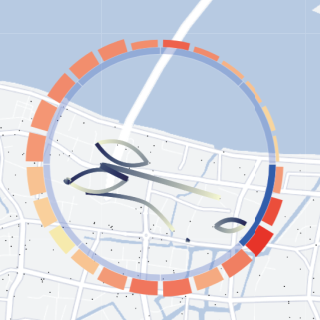 JF-Cut: A Parallel Graph Cut Approach for Large-scale Data. Yi Peng, Li Chen, Fang-Xin Ou-Yang, Wei Chen and Jun-Hai Yong. 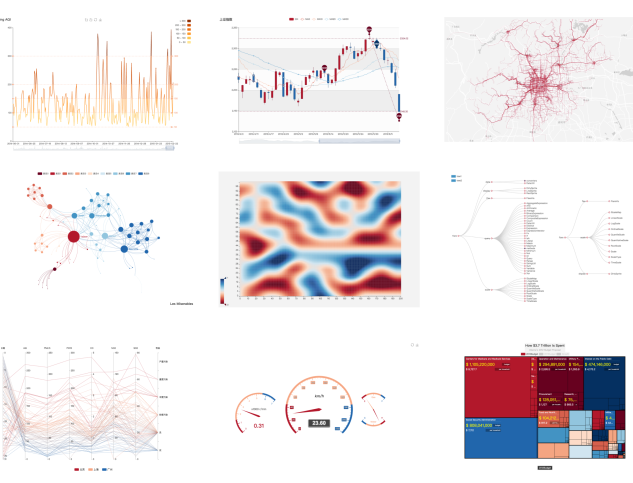 Uncertainty-aware Multidimensional Ensemble Data Visualization and Exploration. Haidong Chen, Song Zhang, Wei Chen, Honghui Mei, Jiawei Zhang, Huamin Qu. 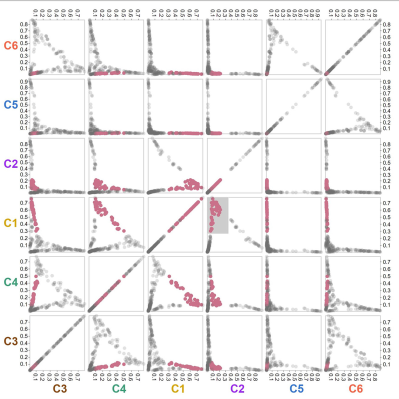 Visual Abstraction and Exploration of Multi-class Scatterplots. Haidong Chen, Wei Chen, Honghui Mei, Zhiqi Liu, Kun Zhou, Weifeng Chen, Wentao Gu, Kwan-Liu Ma. 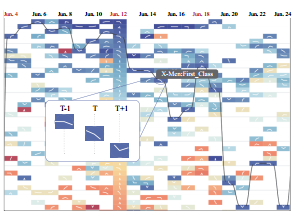 VAET: A Visual Analytics Approach for E-transactions Time-series. Cong Xie, Wei Chen, Xinxin Huang, Yueqi Hu, Scott Barlowe, Jing Yang. 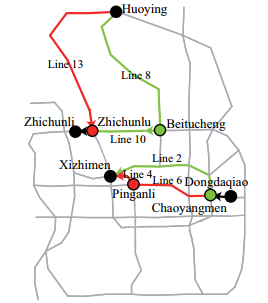 A Visual Reasoning Approach for Data-driven Transport Assessment on Urban Road. Fei Wang, Wei Chen, Feiran Wu, Ye Zhao, Han Hong, Tianyu Gu, Long Wang, Ronghua Liang, Hujun Bao. BoundarySeer: Visual Analysis of 2D Boundary Changes. Wenchao Wu, Yixian Zheng, Huamin Qu, Wei Chen, Eduard Groeller, Lionel Ni. 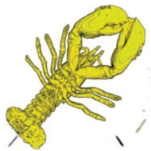 Automatic Shader Simplification using Surface Signal Approximation. Rui Wang, Hujun Bao, Karla Bala, Xianjin Yang, Yazhen Yuan, Wei Chen. Image-space LIC for Surface Flow Visualization. Jin Huang, Zherong Pan, Guoning Chen, Wei Chen, Hujun Bao. 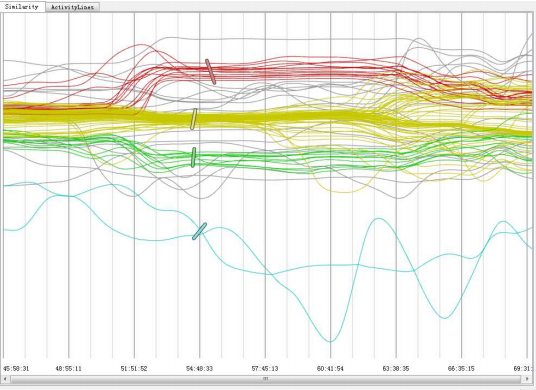 RankExplorer: Visualization of Ranking Changes in Large Time Series Data. Conglei Shi, Weiwei Cui, Shixia Liu, Panpan Xu, Wei Chen, and Huamin Qu. 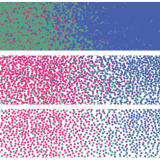 An Efficient Direct Volume Rendering Algorithm for Dichromats. Weifeng Chen, Wei Chen, Hujun Bao. Efficient Volume Exploration with Gaussian Mixture Model. Yunhai Wang, Wei Chen, Jian Zhang, Tingxing Dong, Guihua Shan, Xuebin Chi. Real-Time Shape Illustration Using Laplacian Lines. Long Zhang, Ying He, Jiazhi Xia, Xuexiang Xie, Wei Chen. 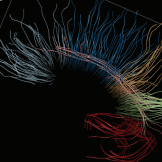 A Novel Interface for Interactive Exploration of DTI Fibers. Wei Chen, Zi’ang Ding, Song Zhang, Anna MacKay-Brandt, Stephen Correia, Huamin Qu, John Allen Crow, David F. Tate, Zhicheng Yan, Qunsheng Peng. Volume Illustration of Muscle from Diffusion Tensor Images. Wei Chen, Zhicheng Yan, Song Zhang, John Allen Crow, David S. Ebert, R. McLaughlin, K. Mullins, R. Cooper, Zi’ang Ding, Jun Liao. Structuring Feature Space: A Non-Parametric Method for Volumetric Transfer Function Generation. Ross Maciejewski, Insoo Wu, Wei Chen, David S. Ebert. 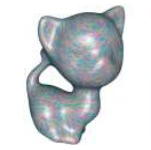 Perception-Based Transparency Optimization for Direct Volume Rendering. Ming-Yuen Chan, Yingcai Wu, Wai-Ho Mak, Wei Chen, Huamin Qu. Hardware Accelerated Adaptive EWA Volume Splatting. Wei Chen, Liu Ren, Matthias Zwicker, Hanspter Pfister.